We take pride in ensuring our customers are fully satisfied. "Thank you so much for your all your help. Your customer service is excellent from answering my queries to keeping me updated. 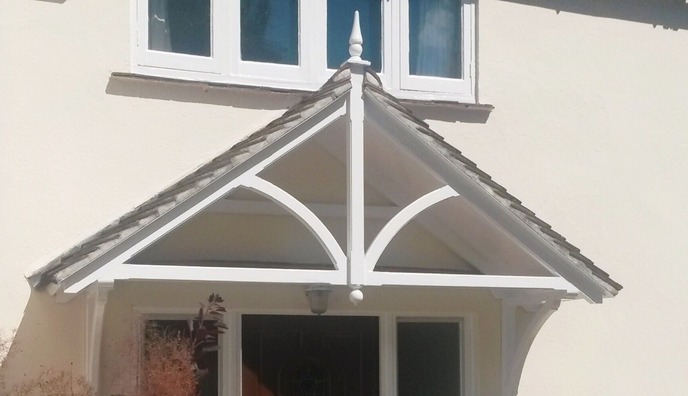 I can't believe in just 24 hours my door canopy will be delivered. Job number 10 for hubby so you may need to wait for the before and after pics!" 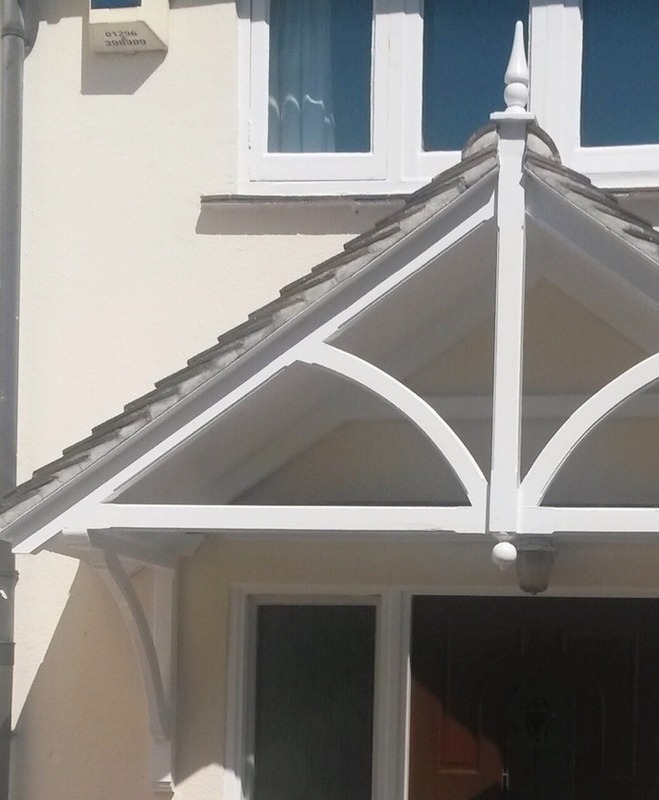 "Many thanks to everyone at Timber Door Canopies for a completely brilliant service! 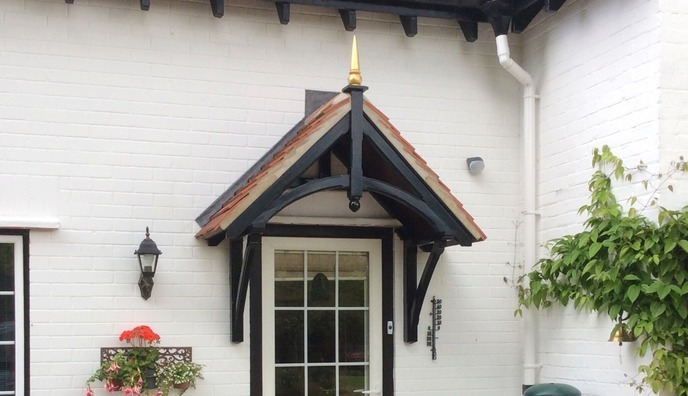 From my initial enquiry regarding building a pair of bespoke gallows brackets, through to advice, communication, delivery and final product. Everything was handled to perfection. Special thanks to Mandie my main point of contact, for her patience and for recommending a smartphone app that got the angles required spot on. Not forgetting Abi and the joiner who’s name I never got, but who produced exactly what I had in mind. 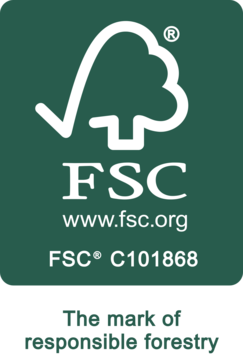 It's very nice to know that companies like this exist and still take pride in delivering total customer satisfaction. "..Pictures of our porch we bought from you. 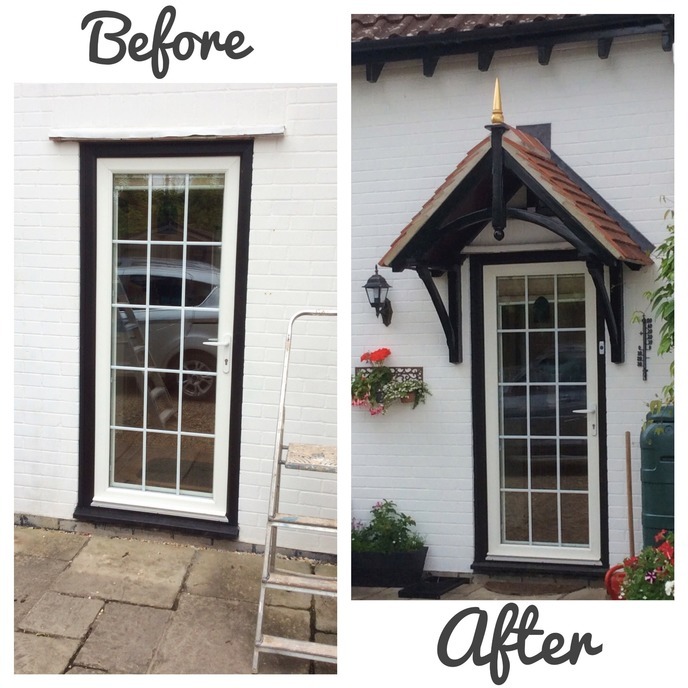 They show the plain door through to the painted and finished article. It was good to do business with you and we will not hesitate to recommend you when we can. The finial is one that came from a pavilion in our old house in Scotland. It is gold leaf and I just couldn’t leave it there and it now has a new home!!!"